There are vacancies in the Wednesday class, starting 1st May. 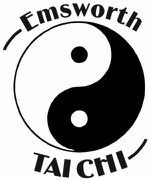 Contact me at emsworthtaichi@gmail.com if you are interested in joining. You are welcome to stay on after the session for a cup of tea at Hewitt’s Community Café, a workplace offering service opportunities for people with learning disabilities. The group is full. Contact me if you would like to go on the waiting list. The weekly sessions start with Tai Chi and Qigong health & fitness exercises and the last part of the hour is spent learning the Yang Tai Chi Short Form. This is an Emsworth U3A group and you must be a member of Emsworth U3A to join the group. There is a small charge to cover the room booking fee. The emphasis is on keeping relaxed and the repetition of flowing movements. There is a wealth of Qigong exercises available and I include different ones each week for variety. There are many health benefits in these energising exercises. Particularly beneficial is increased mobility of the spine, improved flexibility, better balance and posture. I usually include a number of exercises that may help arthritis. The sessions include an exporation of the Tai Chi way of mindfulness and mind-body exercises. We find out how Tai Chi influences relaxation, posture and everyday living. Throughout the sessions I will explain the health benefits of each exercise. If you wish to practice at home this will enable you to tailor your own routine to your needs. On a final note I usually end each session with a few minutes meditation. This is an important aspect of Tai Chi as it settles the mind and energy in the body. The aim of each class is to finish the hour feeling refreshed and invigorated. Wear loose-fitting clothes and either go barefoot or wear flat shoes such as plimsolls, pumps or light trainers. See the location of the venues by clicking on the markers of the map below.